To participate, individuals must own a legitimate ShopBack acccount to make any purchase to stand a chance to win. 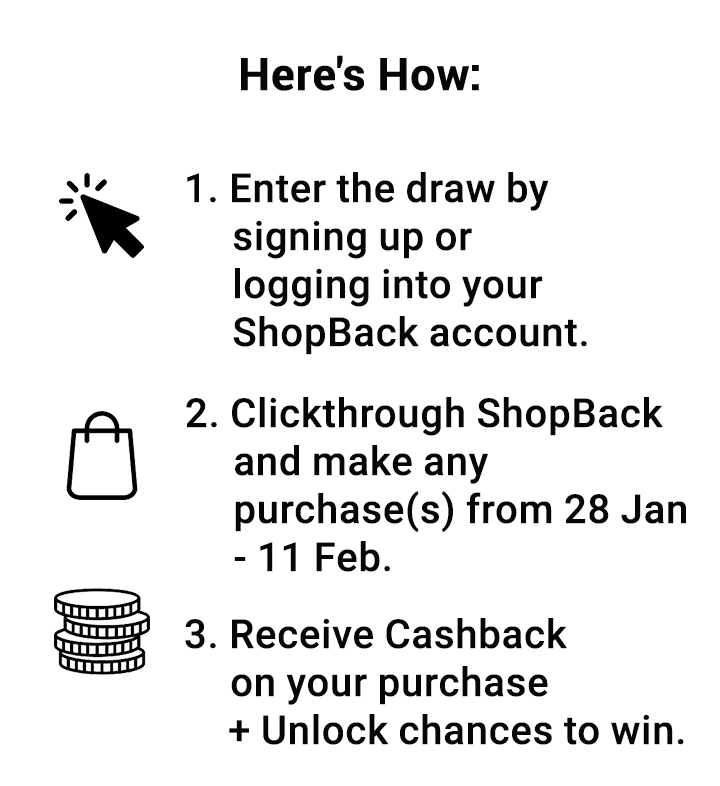 Users who made any purchase from 28 Jan 2019, 0:00 - 11 Feb 2019, 23:59 on any store on ShopBack with a tracked Cashback will be eligible to win. 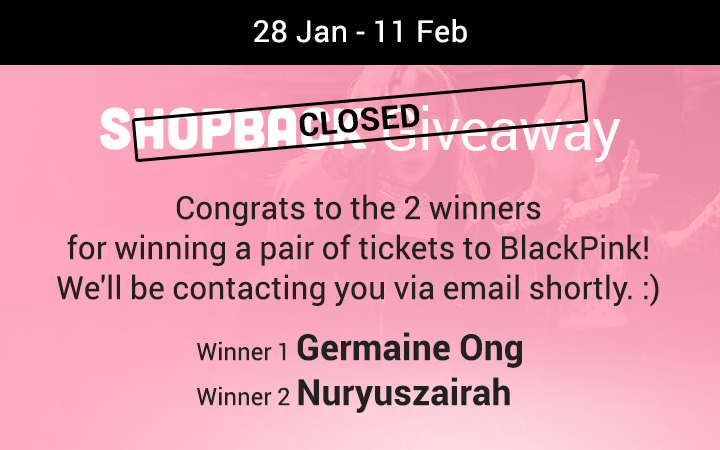 Two lucky winners will win a pair of tickets each to the concert on 15 Feb 2019, 7pm at Singapore Indoor Stadium. Qualifying round will close on 11 Feb 2019, 23:59. Only purchases tracked by 12 Feb 2019, 8am will be qualified for the draw. Winners will be announced via Facebook and on this page on 12 Feb 2019, 12pm. Winners will also be contacted directly via email on the collection of the prize. Traveling to Korea this year? Plan your Seoul getaway with ShopBack and earn up to 10% Cashback on travel. Get $8 off (min. spend $120) on Klook SG code: GONGXI + up to 3.5% Cashback via ShopBack today.